Star Wars fans sure had reasons to be excited this week, as Lucasfilm put out the first trailer for the eagerly awaited Star Wars: The Last Jedi movie. This is a follow-up to The Force Awakens, the 2015 flick that put Star Wars back on the movie landscape after the disappointing George Lucas prequels of the early 2000s. Thankfully, though, we get to hear actor Mark Hamill utter his first words as Luke Skywalker in this teaser, even if he’s not actually seen in it. So it seems director Rian Johnson and his crew at Lucasfilm want to keep the Skywalker mystery going, and it’s likely we’ll only get tiny glimpses of the character until he’s fully revealed in a future trailer. Luke Skywalker will obviously be a central figure in this upcoming Star Wars movie, though, and logically he will be teaching Rey the finer points of the Force, training her for her inevitable second encounter with bad guy Kylo Ren. The thing is, will Luke Skywalker come into his own in this movie? Because while Mark Hamill’s character has been a central figure in the Star Wars movies to this date, he’s always been overshadowed by other characters in these films to date. Such was the case in the first Star Wars movie, where characters like Han Solo and Obi-Wan were far more interesting than the movie’s protagonist Luke. Actually, Alec Guinness’ Obi-Wan is arguably the best Star Wars character to date, with the English actor delivering an unforgettable performance in George Lucas’ original 1977 Star Wars movie. And Harrison Ford also did a pitch-perfect job in J.J. Abrams’ The Force Awakens, playing a mentor role to Rey and Finn in the 2015 movie. 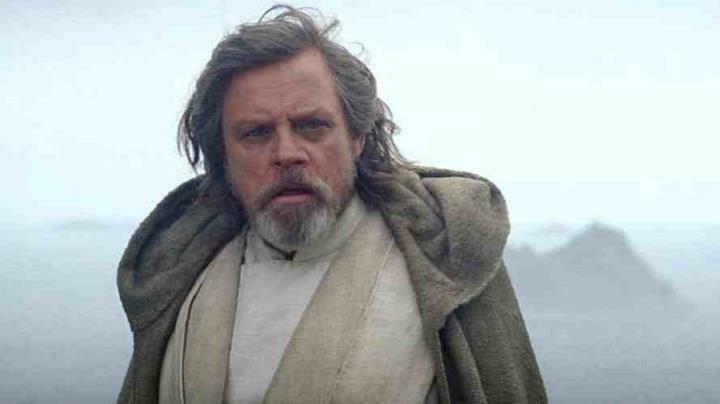 So the upcoming Star Wars Episode VIII: The Last Jedi will surely be a chance for Mark Hamill to deliver that great Luke Skywalker performance fans of the movies have been waiting for, and to make the character of Luke Skywalker as memorable as other members of the Star Wars universe like Darth Vader, Obi-Wan and Han Solo. Of course, it’s likely Star Wars fans would be even happier if this upcoming Star Wars movie turned out to be as good as The Empire Strikes Back, still the best entry in the series to date. So it would be a great thing if director Rian Johnson and his crew at Lucasfilm delivered another Star Wars movie to remember when The Last Jedi hits movie theatres on December 15 this year.